What do you get when you take a technology marketer and a manufacturing sales veteran and put them both in the craft industry together? 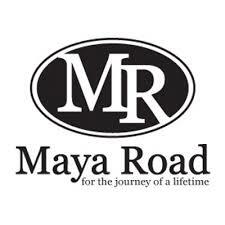 Maya Road was born in 2003. Founder Caroline Lau and her sister were spending the weekend together, and we went shopping for all of the latest scrapbooking supplies. As they browsed the aisles, they were frustrated by how difficult it was to find unique scrapbooking products and how expensive products were. We started chatting about products they wanted to see, and we brainstormed how they could combine their business knowledge and design skills to produce the unique products for scrapbooking. Thus, Maya Road was formed. Maya Road was founded on a belief in each person’s creative ability and on the commitment to making high quality scrapbooking products available and affordable to everyone. weCraft will be adding a variety of Maya Road products to the store soon.